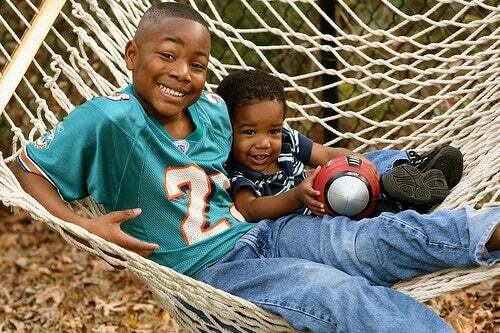 Home » Children » Do Parents Have a Favorite Child? Do Parents Have a Favorite Child? Although everyone likes to think they love their children equally, science proves otherwise. Several studies have researched the rather difficult “myth” of parents having a favorite child, and have found that it’s actually true. Experts argue that it is normal for children to awaken different emotions in their parents. Therefore, parents can have more fluid relationships with certain children due to affinity and personality. This controversial conclusion was obtained after numerous scientific studies were carried out on the topic. Find out why scientists argue that a favorite child exists in this article. Below you’ll find a summary of the extensive research that was conducted to arrive at this conclusion and the impact that it has on family dynamics. A study conducted by Katherine Conger, professor of Human Development and Family Studies at the University of California, showed that 65 % of parents and 70% of mothers feel a certain preference for one of their children, usually the oldest. Conger’s team analyzed about 400 families over a time span of three years. Their analysis showed that preference is usually associated with the order of birth of each child. Far from the typical “I love all of you equally” that every parent claims, there are many people who claim that favoritism is a natural and inevitable mechanism for survival. In line with this thought, neuropsychiatrist Cesar Sierra assures that there is a preference determined by the place that each mother and father give – unconsciously or spontaneously – to each successor, depending on the context of gestation, birth and upbringing. How does this impact family dynamics? “Favoritism affects all the relationships between all family members” according to psychoanalyst Ellen Libby. She also notes that this encourages sibling rivalry. 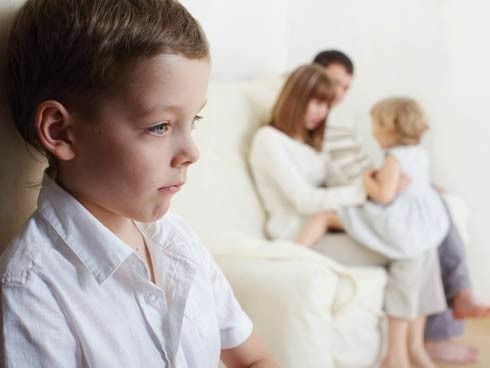 According to experts from the organization parenting.org, siblings struggle for their place in the family and their parents’ attention. A study carried out by the Cornell University analyzed the bond between mothers and their adult children. They studied the relation between maternal preference and depression. Two thirds of the mothers showed that they had a favorite child. According to the study, that child feels feelings of guilt and the obligation to care for their parents in the future. The relational dynamics of many families has a lot to do with the preference of a single child. Psychologist Maria Elena Lopez states that this situation “occurs frequently in different times of life.” Such is the case, for example of families where there is a king and years later, the favorite little princess arrives. In spite of what science dictates, mothers’ feelings are different. 100% of us believe that we love all our children equally. How can anyone love one child more than another? Siblings are often polar opposites, maybe one is smarter but the other is more affectionate. Those are two virtues that all mothers love. Yes, that makes both children different, but they still came from the same mother and they deserve equal amounts of love. Good parents try to be impartial by providing equal love and attention to all their children. Sometimes it is not a matter of having a favorite. It’s just that at times that child can contribute something to mom that their sibling cannot. Let’s take the example of a mother that likes to sew. She has two daughters, one loves to sew and the other ones hates it. If mom starts sewing, it is only logical that she calls over the daughter that will like to share the moment with her. Maybe the other daughter has a talent for drawing. Mom still appreciates the drawing and puts it on the fridge. Each child can contribute differently. It is the parent’s responsibility to make them see that they are all equally valuable. Parents must show they are impartial towards all of their children. Only Children: Is It Necessary To Give Them A Sibling?